It’s here! I finally typed it up all nice and pretty so you can print it out! Click the link below for my pickled vegetable salad. Later on, I’ll post a recipe for pickled vegetables! 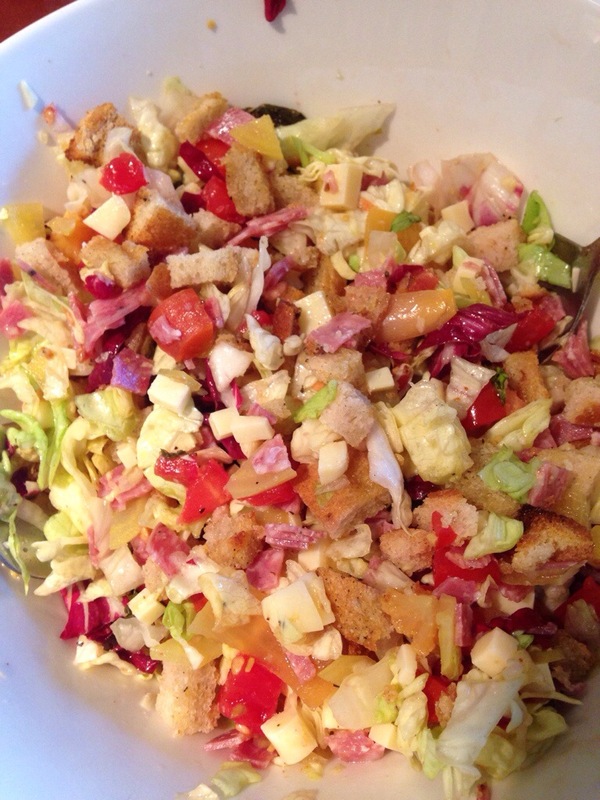 This entry was posted in cooking, recipe and tagged beets, carrots, cauliflower, chopped, croutons, delicious, farmer, homemade, onions, pickle juice, pickled, recipe, salad, salami, vegetables, vinaigrette. Bookmark the permalink.